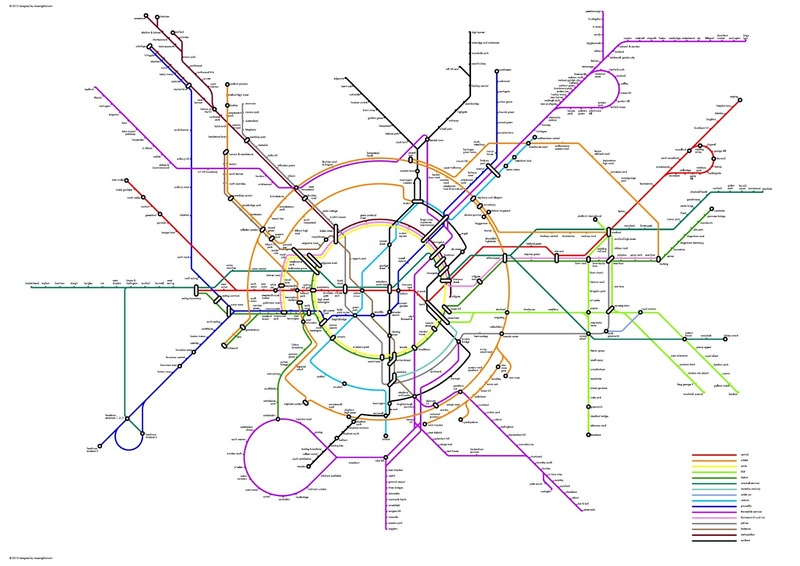 Both HWMBO and I love transport systems. I am always happy to pick him up from the airport just to hang out there for a while. We will spend an entire day riding the trams at Critch but more than anything I love trains. The tube is a natural hop from a train. HWMBO gave me this for Christmas. 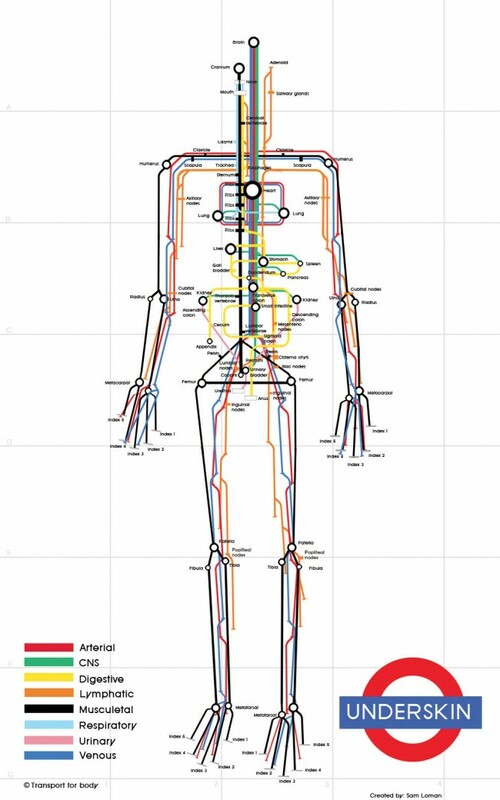 A tube map of our area. I love it. 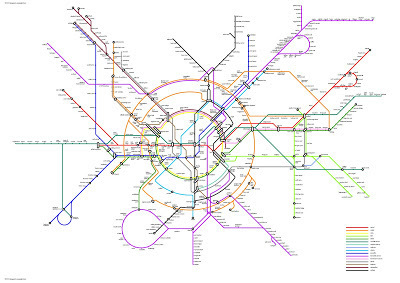 I was intrigued by the new tube map design: circles within circles by Jonathon Fisher. I think it looks beautiful even if it in practical terms it has some major flaws. 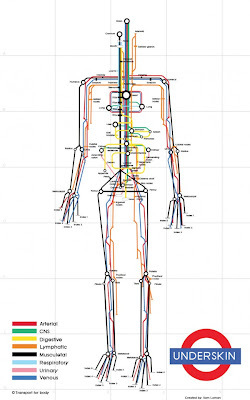 Whilst having a poke around I stumbled on this body map, I like it too.